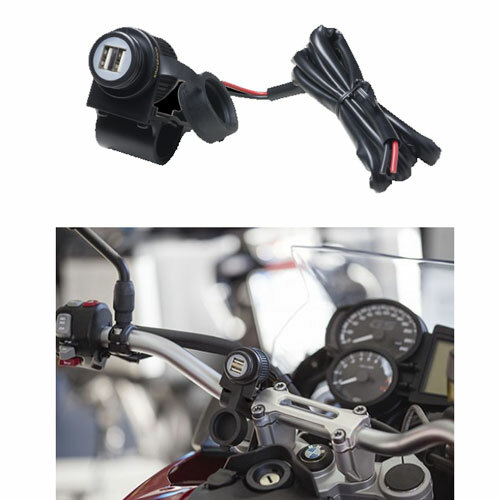 Power supply kit for tubular motorcycle handlebar with dual USB port. Allows you to charge two electronic devices with USB recharger cable. Protective hood. Output DC 5V- 2 A. Fuse 3 Ah Cable length 150 cm.